Scot Tares has a chat with the UK’s most successful Paralympian ever: Dame Sarah Storey. Dame Sarah Storey had an incredible year in 2012, with many wins in road and track cycling, topped off with four Gold Medals and a World Record at the Paralympics which brought her overall tally to 11 Gold, eight Silver and three bronze and making her the UKs most successful Paralympian ever. This week it was announced that she would be patron of the 2013 Etape Series of events that includes the Etape Caledonia held each May in Pitlochry, Highland Perthshire. Prior to the announcement I caught up with Dame Sarah. In 2005, Dame Sarah switched from swimming to cycling, after a series of ear infections forced her out of the pool and onto the bike. She started cycling to maintain form during her enforced leave of absence from the pool, but was soon offered a trial by British Cycling. This was so successful that she had guaranteed her selection for the European Cycling Championships in Holland. She came home from that event with a World Record, two Gold medals, a Silver and a Bronze. Despite this, the decision to focus on cycling rather than swimming was not an easy one, but following advice from her coaches the transition was made and she hasn’t looked back since. Dame Sarah, unlike many cyclists, does not limit her focus to a sprint or an endurance event and she combines a lot of road racing, with a mix of different disciplines on the track, from team Sprint and short time trial efforts, to longer endurance based events such as the individual pursuit. 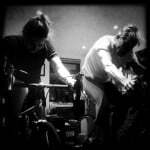 For many riders, the training involved to combine such a mix of disciplines to get an optimum performance can be difficult, but not so for Sarah Storey. Dame Sarah Storey has raced and won many non-para cycling events and she just missed out on a place for the Olympic British Cycling team for London 2012. Looking to Glasgow 2014, there are no para-events for her to ride, so she will be looking to gain a place on the English team for the non-para cycling events. Out of all the excitement and victories in 2012 in both men and women’s racing, many of the women’s events proved to be a lot more exciting to watch than the men’s races, dispelling the myth that women’s racing is boring. However, there is still discrimination and prejudice towards women’s cycling as female riders struggle to gain parity with men in sponsorship and media attention and in race opportunities. As Dame Sarah became successful in sport at a young age she found that she was marginalised by her fellow school pupils. Sport can have a huge positive impact on people’s lives and give them confidence, but often young people involved in sport are viewed as different by their peers and the amount of training involved to become successful can also mean young athletes feel they may not have the social time their friends may have. So for young people looking to get into sport, what advice would Dame Sarah give?